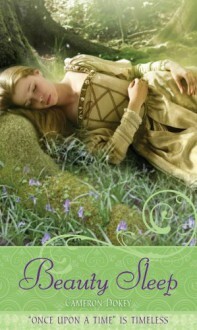 Beauty Sleep: A Retelling of "Sleeping Beauty"
I remember enjoying this one. I know I liked that the one character that it seems like they are going to villify, they don't! It has absolutely nothing on "Waking Rose," by Regina Doman, another retelling, extraordinaire, of "Sleeping Beauty," but this one is still an enjoyable one. This book is okay. Mostly, it has a good plot. But the ending is really weird and confusing.